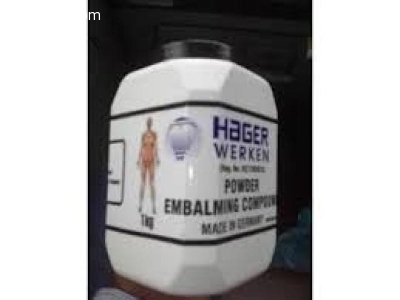 is exclusively manufactured by Hizone Brands, Ltd. as a highly effective external embalming powder for controlling odors, preserving tissue and inhibiting mold and mildew. 100% active ingredients without any inert fillers. 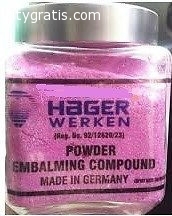 For use in Caskets, Mausoleums, Crypts, body bags, and wherever external embalming is necessary. El anuncio expira en: -1190 días.